Temperatures soared in Oregon last week and, with the extreme temperatures, energy use soared as well. A recent Oregonian article pointed out a serious issue of how relying on wind energy affects electricity grid stability in the Pacific Northwest especially during times of extreme hot or cold temperatures. But the reliability of the grid and the ability of utilities to meet demand are being constrained by government policy. Oregon utilities are overinvesting in unreliable and inconsistent power sources like wind farms in order to meet renewable portfolio standards and this overreliance could lead to brownouts and blackouts in the future. The Oregon Renewable Energy Act of 2007 forces utilities to meet 25% of their generation from new renewable sources by 2025. Utilities are spending their resources on creating more renewable energy in order to comply with this state mandate and under-investing in reliable and consistent generation sources. Currently in Oregon, we have a generation capacity, meaning total amount of energy that could be generated at one time, of 3884 megawatts (MW) and wind energy is truly on the forefront of energy generation expansion in the state. As of this past April, an additional 2189 MW of generation capacity is slated for construction. 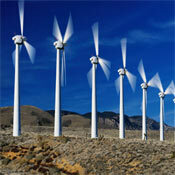 The additional capacity is comprised of only wind and natural gas. In fact, wind energy is expected to provide 1689 MW of the 2189 MW — or approximately 77% of the new energy generation to be built. The unfortunate reality is that wind power is not able to meet base-load demand and during the times when energy demand is high, the wind usually isn’t blowing. This last heat wave in Oregon should be a warning. As energy demand increases over time and utilities are forced to procure power from unreliable sources, Oregonians can expect more problems with getting the energy they need and desire.